After he labeled many as all gun-toting, Bible-clinging and angry citizens, Mr. Obama has remained true to form. In his final act of disdain for our history and heritage, he called for our representative to the UN to abstain from the vote, which essentially puts Israel at the mercy of the rest of the world – a world with even less knowledge of the prophetic destiny of Israel than our outgoing president. 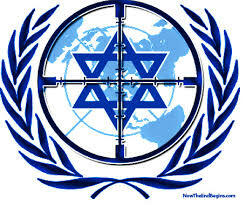 World peace brokered by the UN? Do not hold your breath.